Skrapar district lies in southern Albania, in the heart of Toskëria. The origin of this district is the earliest, which is confirmed by archaeological findings and civic Illyrian period cemetery in the town of Polican. Also the view from near of the Illyrian castle, in 1964, shows the continuity of this area. Evlija Çelebi, Turkish historian, writes that during the medieval peroid, the castle of Skrapari was the city of Ibrahim Pasha. Later took up the fight by Gjedik Ahmet Pasha, at the time of Sultan Bajaziti (1389-1402). 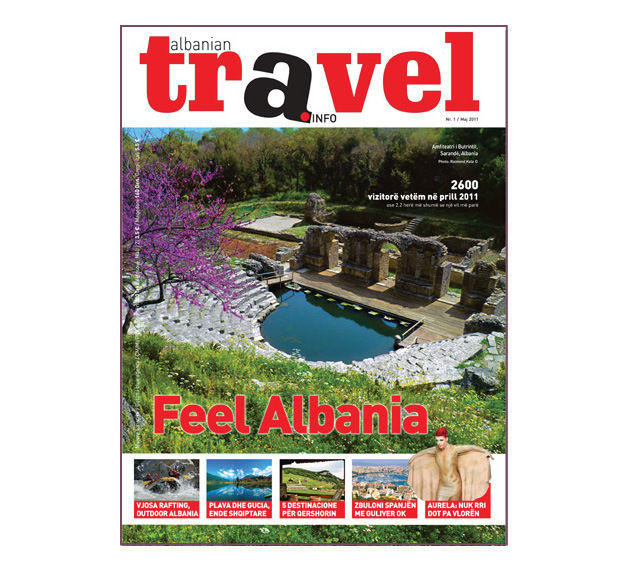 Adding to these facts the rare beauties of nature, we can list Skrapar among the most attractive tourist cities of Albania. Skrapari includes two municipalities, Çorovodë and Polican, and eight communes. The capital of districts is Çorovoda. The discovery of the cave settlements, castles, the open the graves, the early tracks of different mosaics, the ruins of bridges, churches, and the treasures of coins, work tools, have extended knowledge and evidence of an ancient human life. Ancient objects are work tools belonging to the Neolithic period, objects that are exposed in the front windows of the establishment of the National History Museum. Illyrian-Roman wars, come out through the pen of historians of different names like Orgesi, Koragu, Gerunti etc. According to them, the town discovered the break (III century BC), Illyrians served as a fortress area of Skrapar and strategic character defense. During the Middle Ages, the area as all Europe was under the rule of Turkey, then the remaining population was Muslim, Bektashi. 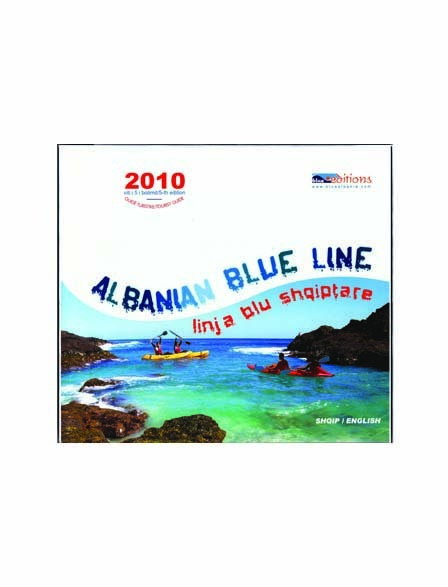 At the time of Ali Pasha, many captains of Skrapar helped Greece's declaration of independence, and later in the wars of revolts for freedom and independence of Albania. Skrapari was distinguished for bravery and courage as during the War of Vlora in 1920, with about 2000 fighters, and also during the war for national liberation with bloody battles of the heroic as that of the Qypi tent. The period after the war, found Skrapar under general changes which passed all Albanian cities. After 90s, the city was put under the development of market economy. Skrapari has developed a tradition of cultural clubs, since 1906 with the association "Tomori" in Romania. In the Palace of Culture "Riza Cerova" held events, folk festivals and art of various genres, which dominated the polyphonic music. Even today poly group of men and women, gives concerts at home and abroad. 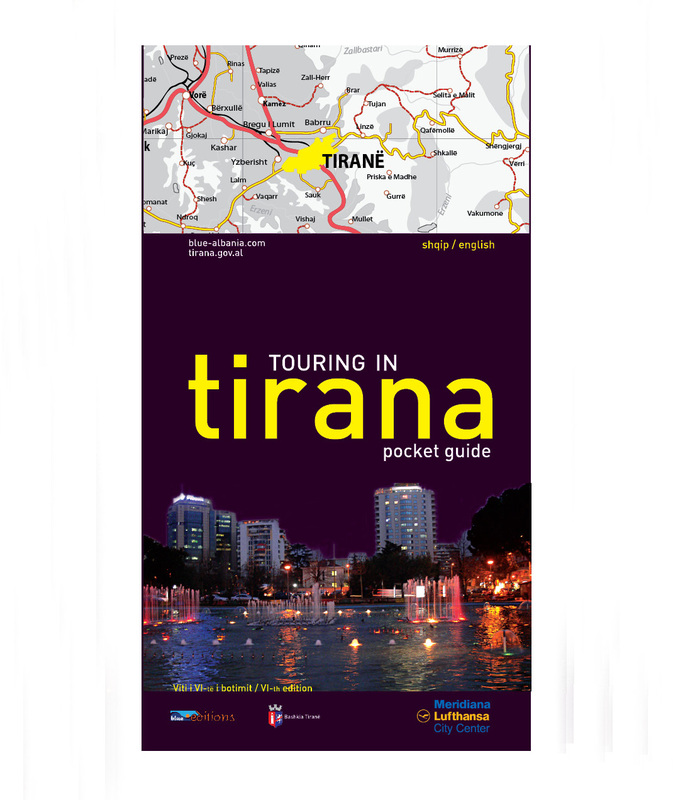 The town library operates with about 9000 copies and the city's historical museum, has open pavilion of archeology, ethnography, independence, Fascist war, the figures of Skrapar etc. The ethnography of the area is quite interesting, including spiritual riches, customs, traditions, morals, traditional outfits, etc.. Tumuli are characteristic of the area, as in Kolonja, Korça, etc. Clothing generally still felt for the thick and coats of flax, cotton and silk dresses of light, embroidered with rich ornamental motifs. The old homes are one and two-stairs, with ornate of the gates and the walls. Skrapari is rich in monuments of culture and nature, and it is difficult to suggest, without leaving out of attention many centers, ancient fortifications or natural tourist spots. 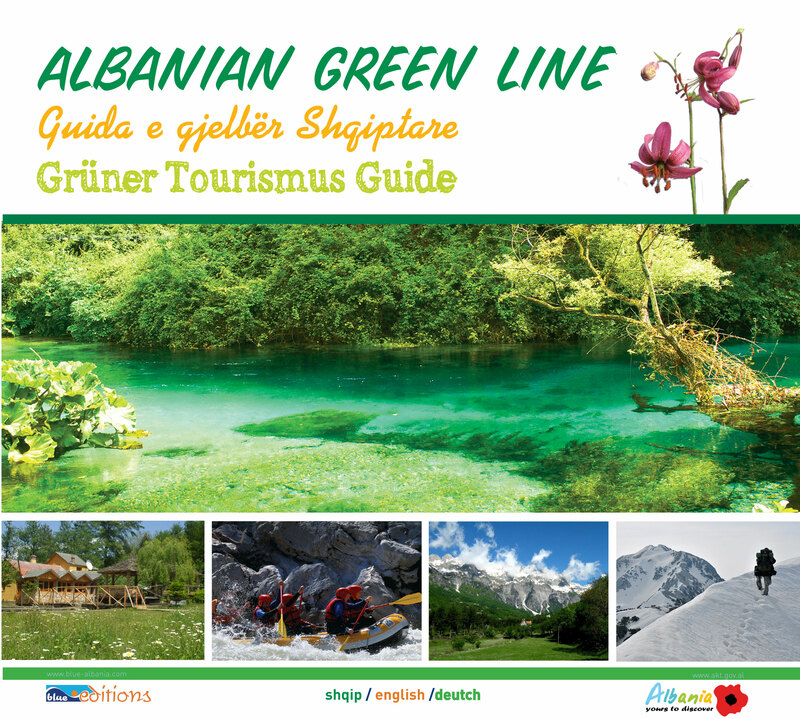 (For natural monuments, protected areas and natural parks, see Albanian Green Line). Skrapar Castle, situated on the high conical hill, 721 m on the left bank of the Osumi. Have been found in tools, weapons, etc. Dyrrah silver coins. Qeshibesit Castle or St. Mertiri. There is an important strategic position as it is built into the feeder roads that lead to the south of Epirus. Sharova Bridge. Key bridge at the junction of South Road-Këlcyra. In ancient times belonged to link Drinos-Vjosa-Osumi-Devoll-Shkumbin. The Mosaic of Jaupasi in Bogova. It is a work very damaged but has value because it proves the extent of early Christianity. Episcopalian of Skrapar. Dates back to around the century. X e.s. 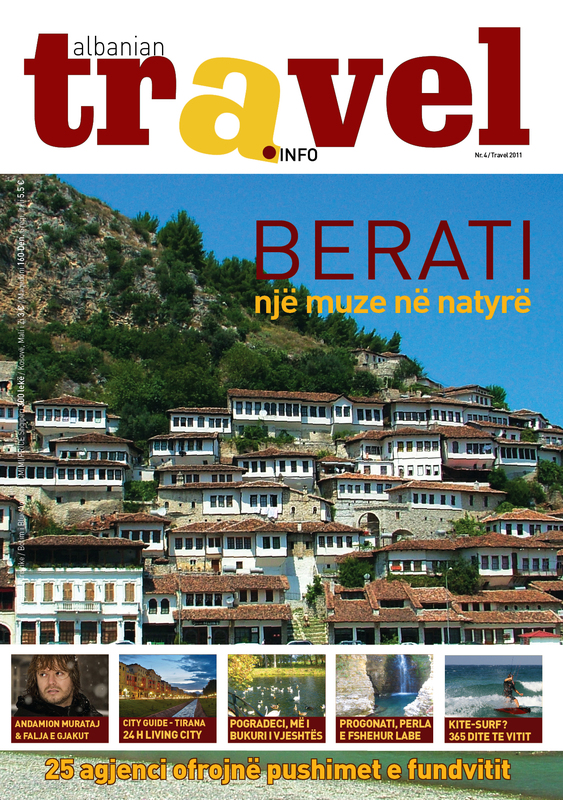 In it there are wall paintings, traces the inscriptions, tombs, a place setting gifts etc..
Natural Beauties of Skrapar whom at least three important points as the Natural Park of Tomori, Canyons of Osumi, which are the most beautiful of its kind in Albania, and Bogova sources. In the tradition of Skrapar, placed numerous zahiretë winter, ranging from meat that is junk, up to fruits and vegetables dried oshaf. Skrapar housewife enrich reçelëra winter, pekmez, narden, rehani (typical of the area), various pickles, sauces, cheese, cottage cheese, etc.. Typical dishes of the area are Persheshi, wheat bun with chicken, butter, nuts printed with the garlic seasoning, meat jahni, with different super Keci or lamb casings, cooking SAC, etc. qumështori. Without discussion that the lamb is king of the table associated with the famous brandy Skrapar, that the owners of the house and drank with 7 and 9 healthand. There are distinguished three climatic zones: Mediterranean hilly area with a relatively wide range, mainly in the heights 500-600 m above sea level. Pre-mountainous, Mediterranean area, includes the mountain slopes of Tomori, Ostrovoca, etc. Mediterranean mountainous area, located in visible areas in the mountains above. Tomori is a large catchment basin. Arising from its slopes dozen underground sources, which are typical of karst, such as Sotira, Kërpica, Ujaniku, Bogova, simpleton and type of contact, as the Varishti, Black Water (Uji i Zi), Faqekuqit,. King Source (Kroi Mbret) etc. In this territory are all plant floors: bush, oak, pine and alpine meadows. The Boundaries between floors are mixed. The Fauna is diverse, but, as everywhere in our country, it is affected by hunting without criteria. It is better preserved in protected areas, as in: "Tomor Park" and "preserve of Bogova. We face large mammals: brown bear, wolf, chamois, wild boar, fox, wild cat and small mammals: rabbit, squirrel, wild birds: Hawk, eagles, wild crows, wild ducks, turtle, mountain partridges, dove, Owl, etc. The nature of Skrapar is varied and complex: from small areas on both sides of Osum is located a dense network of river valleys and streams that flow between the mountain ridge of hills and mountain peaks up to high and craggy glacial cirques From the pleasant freshness to the snowy heights of the area extremely rare in areas with thick layer of snow that lasts about 4-5 months per year, from green bush always up to the alpine pastures, olive-trees grape, fig in the plum. All these meet in a small area but large stretch vertically and highly fragmented. This transitional position along the coastal district of geographic areas inside the country's, the extraordinary diversity of conditions that combined landscape and mixed between them to form a mosaic that really can be found elsewhere. It is one of the most beautiful natural attractions of Skrapari. The managed preserve of Bogova was created in 1969 for swine, and deer hunting. The preserve lies on the left side of the surface Osum valley with 350 ha. This vegetation is represented by Mediterranean shrubs and oak-trees. Its flora is rich in hardwood forest: juniperus, fraxinus, germander etc. There live many wild animals such as wolf, boar, deer, rabbit, fox, jackal etc. the birds are: partridges, dove, stork passerby etc. In ecological terms it is presented in good conditions. The surface is covered mainly by the bush, where the prevailing (Querque ilex). Frequently, after ilex, is presented the heather, juniperus, etc.. Most of the ecosystem is presented in good condition and environmental conditions appear stable. This situation is reflected in the diversity of fauna. All this valley is marvelous, with high diversity of geographical elements but we can say that the most distinguished attraction of this area is the part of the valley where is situated the Big Canyon. It is located at the sector of Çorovodë-Hambull. It is the biggest canyon in Albania, about 13 km long, 70-80 m deep. The inhabitants of the zone call it also the “Albanian Colorado”. Created by Osumi river at the calcareous rocks, is really wonderful. On the vertical walls there are different waterfalls, small caves and holes, connected with interesting legends like, the Hole of the Bride (Vrima e Nuses), the truck of the Saint Abaz Ali etc. the extreme sport lovers can exercise different sport as kayaking, canoeing, swimming, climbing, etc. With a surface of 4000 hectares, it lies on the sides of Tomorri mountain. With its peak of 2415,7m above the sea level, the Mountain of Tomori gives the impression of a giant natural castle. The natural beauties of the park are evident in every season of the year. 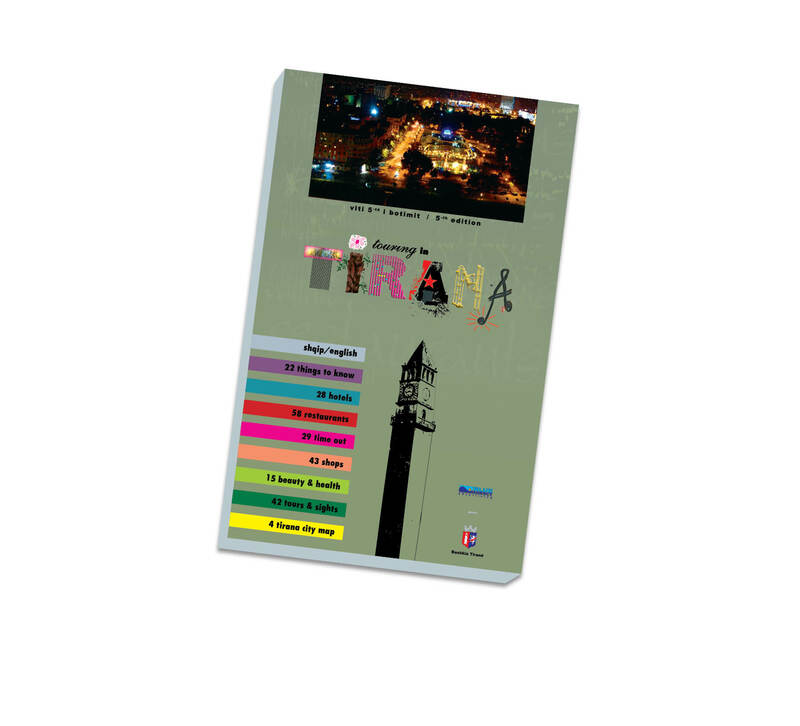 The kind of activities to carry out here is winter sports, climbing, trekking and pilgrimage. Every year at the end of August, thousands of ‘pilgrims’ climb at the Masjid of Kulmak, housing the grave of the religious leader Abaz Aliu, to carry out the religious rites of Bektashian Sect. The park has a very cold and snowy winter and fresh summer, suitable for picnic and excursions. The panoramas that the forest offers are amazing, with the snow over the trees and it happens the same miracle during the other seasons with the green of the forest. The top of Tomori keeps the snow even during the summer and it seems like a man with white fez. The flora and fauna of this park is rich and various. The most dominant plants are the pine and wood, which gives to this park tourists and environmental values. Here, also there is black pine, maple of mountain. The Park is mostly inhabited by big mammals as the brown bear, the wolf, etc. The Park is suitable for all winter sports or the adventure. You can climb, walk, trek, you can also hunt, during the season etc. In the summer, excursions and picnics can fill your day. The camping is allowed if you ask the authority of the Park. The well of Katafiqi. There are two karst wells near to each other, 50 m and 63 m deep, while the diameter reaches about 15 m. Characterized by shrinking, extensions, and concretions. Çorovodë- Gjerbës- Qafa e Kulmakut itinerary. The well of Proseku. Constitutes in karst well, opening with a diameter of about 5 m. The exploration was made in 1995 by "Puglia Grotte-Dauno" (Italy). It came up to -40 m of depth, below is a lake. 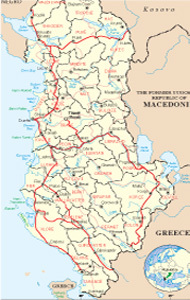 Çorovodë- Qafa e Krorës itinerary. The cave of Pirogoshit . In The canyon near the village of Gradecit. It is the largest caves in Skrapar (1500 m). The exploration was made in 1995 by "Puglia Grotte-Dauno" (Italy). You can see the halls, concretions, the Corridor, the big falls etc. it has been found insects without eyes. Çorovodë- Gradec itinerary. The well of Kakruka, 1980 m above the sea level. The exploration was made in 1995 by "Puglia Grotte-Dauno" The entrance goes down 30 m according to the tectonic break, and continues to 230 m where they meet crash stones blocking the rest of the well. 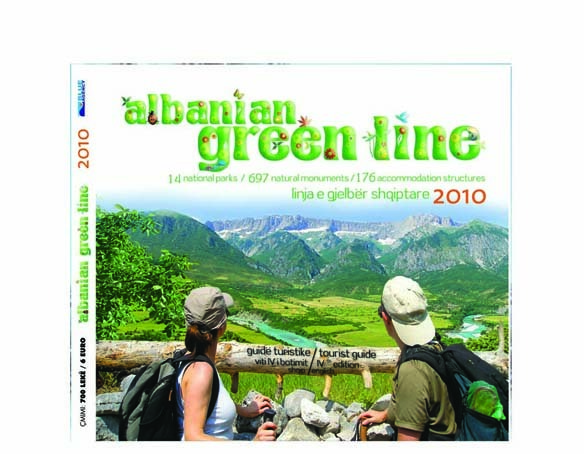 Çorovodë- Gjerbës- Qafa e Kulmakut itinerary. The well of Uvleni. 1990 m abovethe sea level. The exploration was made in 1995 by "Puglia Grotte-Dauno" until to the depth - 227m. It has shkrinks, extensions, beautiful stalactites and stalagmites, resembles to the Kakruka well. Çorovodë- Gjerbës- Qafa e Kulmakut itinerary. The well of the Snow. Dëvria Pass, 1940 m above the sea level represents a karst well still unexplored. The snow reaches until to the summer and serves to the inhabitans for different needs. They take it in straw baskets. Çorovodë – Pass of Dëvria-monument itinerary. The Dragon’s Hole. Near the source of Bogova, 321 m above the sea level. The Length explored is about 100 m. The precipitations increase the source level of Bogova, bringing water out from the well, strongly, as the mouth of the Dragon, as the legend says. Bogova-monument itinerary. The Karst in Dëvria Pass. Situated along the tectonic separation in the limestone of Dëvria pas. Constitutes in an attractive landscape with karst funnel, and bush vegetation, beech forest, small plots of land. Çorovodë- Pass of Dëvria itinerary. The earth-dunes of Tomoric. It is a "wet desert”, due to intensive erosion, conditioned by particular natural and anthropogenic factors: damaged to vegetation and soils by man. Çorovodë- Pass of Dëvria-Gjerbes itinerary. The Osumi’s canyon. Çorovodë-Hambull sector of the Osumi valley. 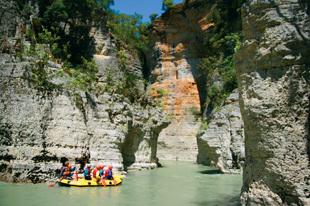 It is the largest canyon in the Albania about 13 km long, 4-35 m wide, 70-80 m deep. 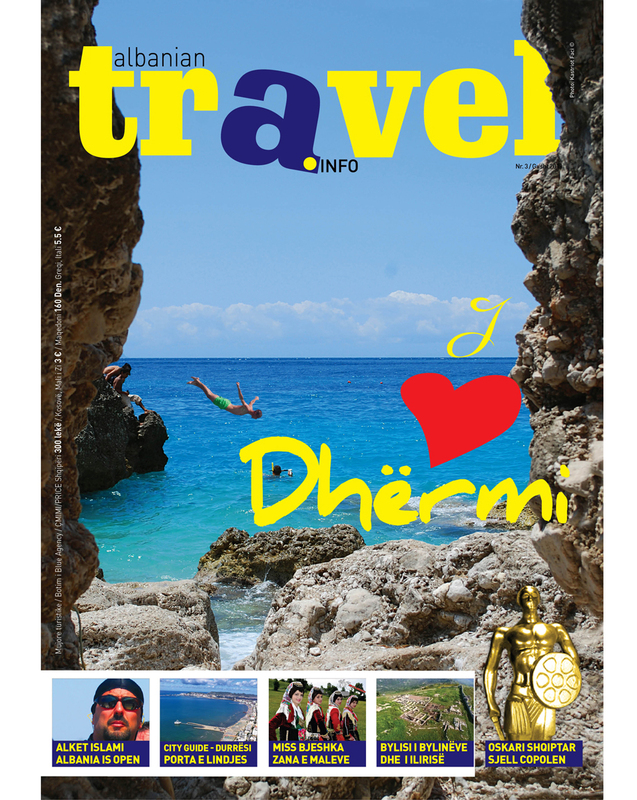 Formed by limestone rocks in Osumi river, it has an impressive and surprising beauty. In vertical walls are waterfalls and caves of karst, which contain interesting legends as th Bride’s hole, The Traces of the Abaz Ali etc. Çorovodë- Hambull itinerary. The Gradeci’s canyon. Northeast of Çorovoda. Formed by karsti of the river of Çorovoda in limestone, it is around 3 km long, deep 100-200 m wide around 10-15 m. On the slopes there are unexplored galleries, and near by, is situated the natural monument of Pirogoshi cave. Çorovodë- Gradec itinerary. The glacial Cirques of Tomori. 1800 - 1900 m above the sea level.Formed by glacials over 10,000 years ago, and karst. They have the form of semi circular holes, with karst forms on the inside, little grass vegetation, etc. Çorovodë-Gjerbës-Ujanik itinerary. The glacial moraines of Ujaniku. Consist in fragmeted deposits brought by the glaciers of the Tomori cirques. They form rolling length 2-3 km, about 1 km of width, height 20-30 m. The valley is full of karst funnels. The rich pastures and quality have made Ujaniku famous for the quality of sheep milk production. 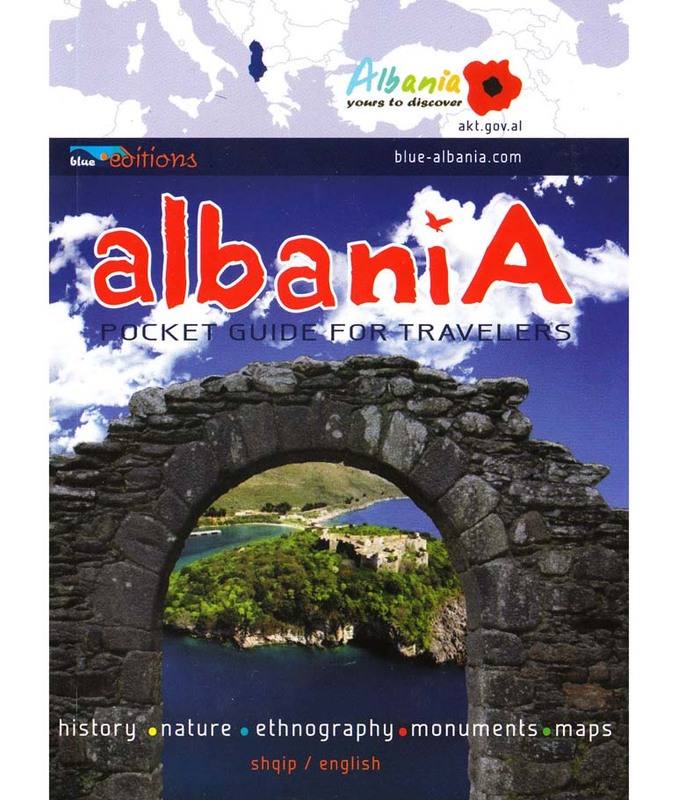 Çorovodë-Gjerbës-Ujanik itinerary. The Paleogenic Transgession in the Dëvria Pass. It separates the mountains of Gradec and Kulmak. It appears in length of 100-130 m, 15 m wide. Çorovodë-Gjerbës itinerary. The pass of Kulmaku Its tectonic-lithological, karst pass, 3 km long and about 1.5 km wide. Nearby is the Kulmaku Tekke. A former military road, is leading to the tomb of Baba Ali in the Tomori’s Peak. Çorovodë-Gjerbës-Kulmaku pass itinerary. The Source of Guakut. Çorovodë, 120 m above the sea level. Emerges as a karst source in contact between the limestone and flysch, the average flux is of 1.28 m / sec. Used for electricity production, water supply and other needs. It an attractive and relaxing environment. Çorovodë- Radësh itinerary. The Oak-tree of Baba Fetahu. Gostënckë-Grëmsh. The Big Nuts of Zhepa. The Beech forest of Leshnja. The Pine-trees of the Cut Stone. The Beech Forest of Symiza. The Beech Forest of Lirza.